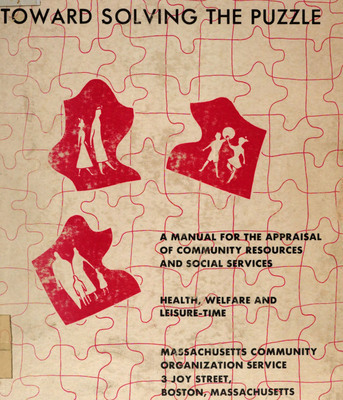 Glickman, H. Toward Solving the Puzzle--A Manual for the Appraisal of Community Resources and Social Services, with W.H. Deem and G.S. Finney, Boston, Mass. : Boston Community Organization Service, 1955.